His is an extraordinary story of triumph, where he spearheaded the development of leisure and retailing arena of United Arab Emirates, and currently possesses and controls 17 shopping malls, 11 hotels and 3 mixed-use communities across 13 international markets. His company’s legal name is the same as his own – Majid Al Futtaim – and has developed into one of the most successful and esteemed businesses of United Arab Emirates with the accomplishment of a BBB rating (highest credit rating among privately held corporate houses in the Middle East). He almost has a monopoly in the shopping mall business in the UAE, as his empire comprises the Mall of the Emirates, the Mall of Egypt, City Centre Malls at Sharjah, Deira, Mirdif, Ajman, Fujairah, Bahrain, Muscat, Qurum, Maadi, Alexandria, Beirut and Nasseriya, and 60+ hypermarkets and 70+ supermarkets in 13 countries. Some quintessential leisure and entertainment establishments including the Ski Dubai and iFly Dubai, and about 150 VOX Cinema screens and 18 Magic Planet centres are also operated by him; in all, enchanting about 150 million visitors each year to his establishments. “My dream is to create great moments for everyone, every day.” When Majid Al Futtaim started with this philosophy, he wanted to transform Dubai into a world destination hitherto unimagined; however, he moved on with the courage to go into the unknown and achieve the most challenging. He is known for boundless entrepreneurial energy, and a healthy and enthusiastic disposition. Majid Al Futtaim chose to manage his corporate house with non-family members; it becomes more challenging in this competitive world, but he took it in his stride and carried on to create an empire where his net worth is calculated at $6.5 billion (May 2015). Majid Al Futtaim and the billionaire Abdulla Al Futtaim are estranged brothers; however, his eponymous holding company operates malls and Carrefour hypermarkets across the Middle East, North Africa and Central Asia. For successfully running the vast empire of malls, he chose Sir Michael Rake as the Chairman, who is also the Chairman of British telecom company BT Group plc, WorldPay and International Chamber of Commerce. Though the corporate house is privately held, Majid Al Futtaim keeps the conglomerate most transparent in the UAE. Majid Al Futtaim has built a team of experts to take care of his vast empire, that brings decades of experience across a diversity of industries to the company, and thus in the process combine business acumen with strategic leadership in their respective fields of expertise. These experts contribute to the soul of the group as they are passionate, talented individuals who continue to drive success by exemplifying the business’ vision, mission and values. Majid Al Futtaim has kept on top priority his commitment to good corporate governance, sustainability initiatives and community empowerment, the values on which his business model rests. He has also backed the initiatives of the Dubai and UAE governments, and has contributed to the development of the city and the country as global tourist destinations. He has directly participated in Dubai’s major tourism-related events through Dubai Festivals and Retail Establishment (DFRE), and also through Dubai Shopping Festival and Dubai Summer Surprises. With all the stupendous success in the last 20 years, he has ambitious plans for the future, actually intending to double his business in five years by increasing investment in existing brands and also by expanding the market internationally. The growth and expansion is based on his commitment to innovation, a customer-first attitude and new entertainment concepts. Under his epochal leadership, the company has delivered more than expected on the financial strength and operational augmentation in the UAE, Middle East and North Africa across all areas of the business. Exploring avenues to enalrge his empire and its commercial presence, he has inaugurated the maiden LEGO-certified store in the entire Middle East, a consumer finance company dealing in “Najm” credit cards, a fashion retail establishment showcasing famous global brands like Abercrombie & Fitch, Juicy Couture and Halston Heritage, a healthcare enterprise, a facility management company – Enova, and a food and beverage firm in partnership with Gourmet Gulf. His success story hinges on his resolute belief that if you surround yourself with other accomplished and gifted people with the goal to support each other in their own individual missions, you are bound to magnetize their talents, expertise, vision, passion and success towards yourself. In his pursuit of excellence, he has empowered thousands of emiratis, and provided UAE a taste of luxury, and superior experience of shopping, entertainment, leisure and hospitality. He is a true people person and believes in building and celebrating success together with all stakeholders, structuring a home-grown environment, and disseminating to and utilizing the skills and knowledge of the local people of the UAE and everyone involved in his projects. 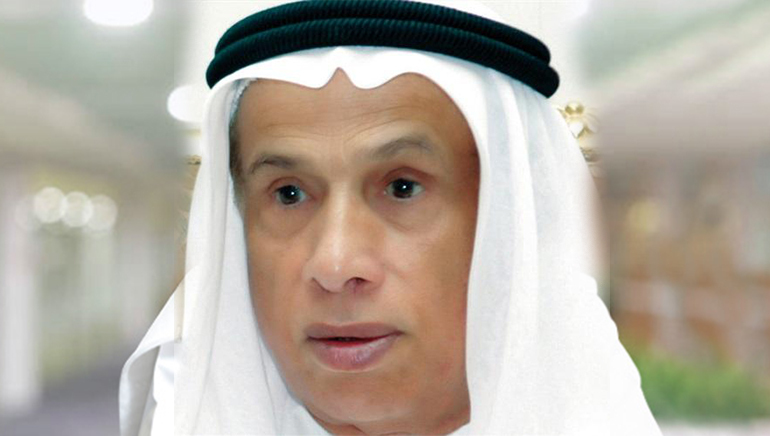 He also takes care of inclusiveness and integrity in his organizations, and has created the most transparent corporate house in the UAE, in which he raises the capital through the financial markets and regularly publishes his company’s financials in the public domain for everybody’s scrutiny. He is a man of principles and immense financial talent, creating an aura of inordinate accomplishments around himself; yet is humble about his opulence and believes in making a future of luxurious, simple and pleasant life for all. real estate industry in the country. Under his able guidance, the Hiranandani Group has come a long way and is recognized for their modern state-of-the-art mixed- used township projects in Powai & Thane, both of which have become preferred residential and commercial locations in and around Mumbai. A billionaire Indian entrepreneur, Niranjan Hiranandani is the Co-founder and Managing Director of Hiranandani Group, engaged in real estate business. Along with members of his family, Hiranandani controls the privately owned Hiranandani Group. The Group is renowned for its projects of Hiranandani Gardens, Powai; Hiranandani Meadows and Hiranandani Estate, Thane; Hiranandani Business Park, Powai and Thane; Hiranandani Upscale, Chennai and Bangalore; and Hiranandani Upscale SEZ & Residential, Hyderabad, His stint with business was unconventional, as his father, Lakhumal Hiranand Hiranandani, was an ENT surgeon in Mumbai, who was also a recipient of the Government of India’s Padma Bhushan Award. Having finished his schooling from Campion School, Mumbai and holding a Bachelor’s degree in Commerce from Sydenham College in Mumbai, he is a Chartered Accountant, and started his career by taking a job as an accounting teacher. Eager to start a business, he opened a textile weaving unit in Kandivali, Mumbai in 1981. Progressing gradually, he bought 250 acres of land in Powai, Mumbai in 1985 with his brother Surenda, and started a real estate business under the name Hiranandani Gardens. Through his family office Nidar Group, Niranjan Hiranandani has also invested in energy infrastructure, and in building natural gas pipelines and two gas storage terminals. Upcoming projects include projects in Pune, Ahmedabad and Alibaug. Apart from construction, the Group has diversified into education, horticulture, hospitality, entertainment and retail. Since its inception in 1978, the Group has reiterated its commitment to the conception and development of world-class products and services in every chosen business activity. To describe Niranjan Hiranandani, right choice of words is very important and sometimes words are not enough, as one has to meet him and listen to his deep and insightful conversations to understand him. He is a brilliant leader who never gets tired of creating innovative ideas and his enthusiasm and zest to implement every revolutionary idea that comes to his mind is unparalleled. Still, he is known for his down-to-earth approach. If one has to explain his entire success story in as few words as possible, it would be ‘labore et constantia’, i.e. with consistent efforts, one can scale great heights. As a leader, he is a combination of several rare qualities, as he owns a sharp professional business acumen, is a concerned citizen who understands his social responsibilities and works to make a difference in the society, is always up-to-date on industry and general information, and takes special care that his company is working to give the due value to every customer. Under his dynamic leadership, the Hiranandani Brand is synonymous to quality, timely completion of projects, and total township development. As is usual for a businessman of his stature, he is on board of 17 schools, including the Hiranandani Foundation School in Powai and Thane, is the past President of the Maharashtra Chambers of Housing Industry, Chairman of Mumbai City, Development and Environment Committee of the Indian Merchants Chambers (IMC) Mumbai, Member of the Task Force of the Government of India for reforms in housing and urban development and Member of the study group Slum Rehabilitation Scheme, Government of Maharashtra. Actually, he helped the government draft the State Policy for Slum Rehabilitation in Mumbai, which was designed to improve the wellbeing of over 6 million slum inhabitants. He has also served on the Board of the Housing and Urban Development Corporation (HUDCO), an organization which distributes over USD 3 billion per annum to help fund building homes for low-income families, and has been an adviser to the Government of India on the Housing and Habitat Policy for over a decade. He is the Chairperson of the Priyadarshni Academy which facilitates social and cultural work. He is also on Board of Trustees – Nathdwara Temple Board, Nathdwara in Rajasthan, Babulnath temple, and Jhulelal temple. He is the President of the Hyderabad (Sind) National Collegiate Board, which manages 22 educational institutions including secondary and higher secondary schools, polytechnics, and degree and post-graduate colleges. He is also the former Chairman of Advisory Council of Confederation of Real Estate Developers’ Association of India (CREDAI). Ever since its inception in 1978, Niranjan Hiranandani has believed in the philosophy that success of any organization comes from its people, because wherever there are people there is an opportunity to serve. Foraying into international market, the Hiranandani Group is launching 23 Marina – a 395m-high 90-storied neo-lifestyle residential tower in Marina region of Dubai. As Niranjan Hiranandani likes to be actively involved in Corporate Social Responsibility initiatives in his personal and professional capacities, along with his brother, he has opened Charitable Trusts. Thus, through Hiranandani Foundation, he has contributed immensely to the Indian education sector; the Trust runs three well-acclaimed schools in Powai, Thane and Chennai all from KG to 12th Grade. In addition, he has interests in improving the healthcare sector of India, and once again with his brother, he is made concerted efforts towards various improvements in the quality of healthcare in India through Dr. L.H. Hiranandani Hospital, a multi-speciality hospital at Powai. Regarded as one of the most sensational cricketer of the era, Mr. Virat Kohli is coasting high on success, money and fame. At a very young age of 28, Mr. Kohli possesses maturity at the crease far beyond his age and class off the field. Whether through making a century on field or taking some most important wickets for the team, Mr. Kohli is a cricketer who can deliver a comfortable game while keeping his calm most of the time. Virat’s cricket love goes back to his tender age of 9. It was when his father Prem Kohli decided to enroll him and elder brother Vikas at the West Delhi Academy in the neighborhood so the two wouldn’t just while away their summer holidays. His first coach at the academy, Rajkumar Sharma, remembers him as a chubby, naughty kid. “Raju Sir” as Virat would call him, is the guiding force behind the superstar and also the first person he would call after a match. After many innings, each bigger and better than the last, with the most recent redefining the benchmark of big earnings in the world of cricket, he’s proven that it’s possible to cultivate adoring fans and also please the critics. Mr. Kohli’s stance is that of a winner. But his mood is surprisingly grounded and self-aware, after years of aggression; today he knows how to keep his cool. In a heart-felt interview, he stated that he is afraid of losing, though with time he has learnt to deal with losses on field, but in life, he just cannot loose. Maybe that is the success mantra many youngsters were looking out for. It’s with this fervor that Mr. Kohli has capped a prolific career at such a young age and has climbed up the success ladder to become the biggest global celebrity of India. It is the conviction of this man who has led India to be at the top of the Test rankings. Born conquerors are always looking for new ways to brush up their talent, same is the case with Mr. Kohli, he is unique with his game and is rightly called as the biggest Indian sporting talent that the world has seen in generations put together. There isn’t a better time: cricket is celebrated as a religion in India and at such a young age when he surpassed Scahin Tendulkar’s record on field, there were no second thoughts about him being a commercial behemoth, quite unlike anyone the game has ever seen. His cheekiness and self-assured attitude are adored by the millions of fans in India and across the globe. From a small kid who played for the local cricket teams to the captain of Indian team, Virat Kohli had a long and inspiring journey. Today, at a young age, this right-handed middle order batsman isn’t just another Captain that the team has had already, but he looks to become one of the most efficient captains the team had ever had. Today, Mr. Kohli visits old age homes, is setting up charities and working hard to focus on the future. Going by the basics, he is undeniably playing the best cricket of his life. His focus is unwavering and the form is unmatched. Not many people know about the kind of passion Mr. Kohli has for his game as it was heart-wrenching when an 18 year old hardworking sportsman showed up and won a match for Delhi, a few hours after his father passed away. Reaching the zenith of success he is still the most charming son.